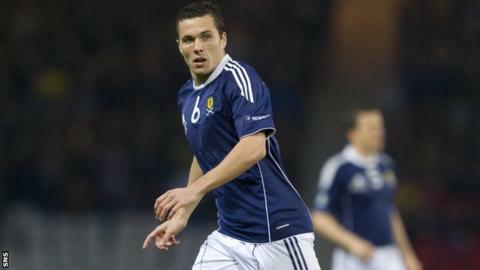 Scotland midfielder Don Cowie has signed for Hearts following his release from Wigan. The 32-year-old, formerly with Watford and Cardiff, has agreed a deal until May 2018. Cowie played with Ross County and Inverness Caledonian Thistle and has 10 international caps. "He'll bring experience to the table, which is invaluable when you're trying to blood younger players into the first team," said Hearts boss Robbie Neilson. Speaking to the club website, Neilson added: "He's played in the Scottish top flight before so knows our game, and he's played at the highest level down south and won a Championship, so I know he's a winner. "Having played in England, he'll show the players here the level they'll have to get to if they have aspirations to play there themselves." Cowie has made more than 450 senior club appearances, scoring 52 times.